When you purchase tickets online, just show proof of purchase at the first home on the tour to receive your armband. 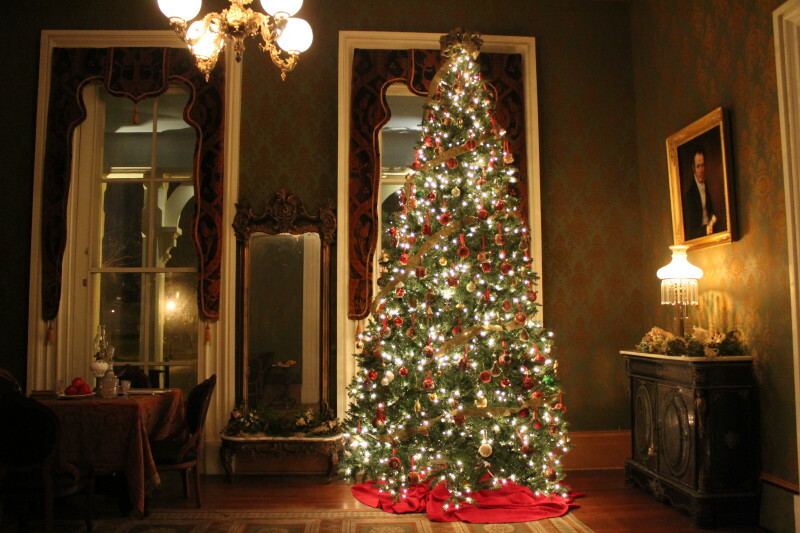 Usher in the holiday season with an enchanting tour of historic homes and landmarks. The annual Oaklands Christmas Candlelight Tour of Homes is slated for December 1, 2018, from 4:00 p.m. – 8:00 p.m. in Murfreesboro, Tennessee. The tour, will feature beautiful and historic buildings, and as always, the historic Oaklands Mansion. In addition to the tour, Oaklands Mansion will host a Holiday Marketplace in Maney Hall. A selection of local artisans and craftspeople will feature their wares for holiday shoppers. It’s the perfect opportunity to make holiday purchases for friends and family. 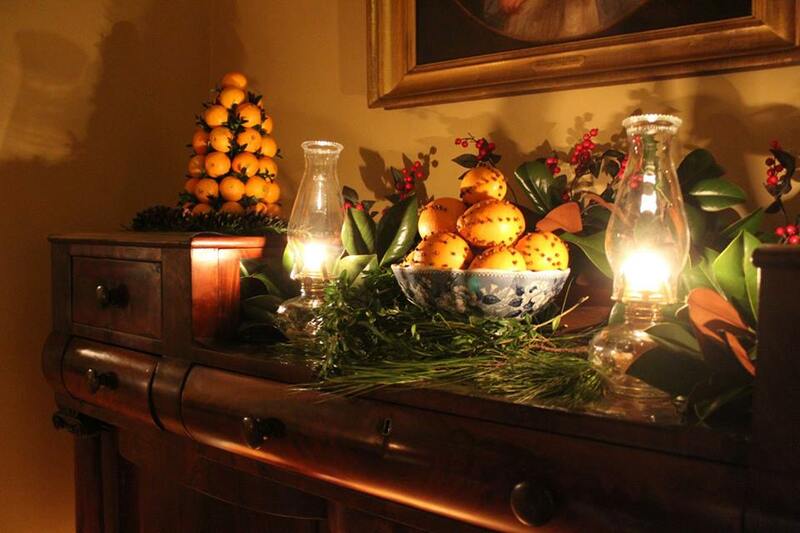 Admission to the marketplace is included with tickets to the Candlelight Tour of Homes. In addition to the marketplace, see a live nativity displayed by Southeast Baptist Church’s Bethlehem Marketplace. Be sure to stop by Baker’s Dozen Cookie Cabin, Cousins Maine Lobster and Something Southern Food Truck for hot beverages and warm treats. The cornerstone of the tour is the grand Oaklands Mansion. At its peak, Oaklands was the center of a 1,500- acre plantation and one of the most elegant homes in Rutherford County. Since that time, Oaklands has seen dramatic changes. Following the Civil War, it deteriorated from a majestic mansion to virtual ruins and, in the 1950’s, its very existence was threatened. The mansion was brought back from the brink of destruction, saved from the wrecking ball when a group of concerned ladies created Oaklands Association in 1959. Since that time, the Association has worked tirelessly to restore Oaklands to its original splendor and preserve its unique history. Today, local residents and visitors alike enjoy the mansion that has been lovingly restored and brought back to its former glory. The proceeds of the Candlelight Tour of Homes go toward the continuing preservation of this historic treasure. Purchase advance tickets (either online at www.oaklandsmansion.org or in the museum shop) by 4 p.m. on Thursday, November 29th and receive a special price of $15.00 for adults. Admission is $20.00 per adult at the door, $10.00 students and children ages 6-12, free for ages 5 and under. On the night of the tour, tickets can be purchased at any home on the tour or at Oaklands’ Museum Shop. The 2018 Candlelight Tour of Homes is made possible through the generous support of: Atmos Energy, Ms. Bonnie Black, Dr. Robert B. Blair, Mr. & Mrs. Kevin Bragg, Durham Realty & Auction Co. Inc., Franklin Synergy Bank, Dr. & Mrs. Charles Goodman, HylaBrook Antique Mall, Tim Montgomery CPA, Tennessee Tool Works and Mrs. Susan Young. Oaklands Mansion is a non-profit educational organization. For information on becoming a member or a volunteer, please call (615) 893-0022 or email: info@oaklandsmansion.org.